Diwali – Festival of lights promises a fun-filled day of celebration! Organized by the Cupertino Chamber of Commerce and its Asian American Business Council (AABC), festivities include a wonderful feast of food, business and craft booths, music and dance including a traditional Rangoli display. Admission and parking are free! throughout the world, typical Diwali traditions include family and friends gathering to light lamps, exchanging gifts, new clothes, meeting new and old friends and offering traditional sweets. The elaborate and exciting Kids Zone is packed throughout the day with children visiting the magic show, petting zoo, pony rides, jump houses, face painting and Diwali storytelling time. 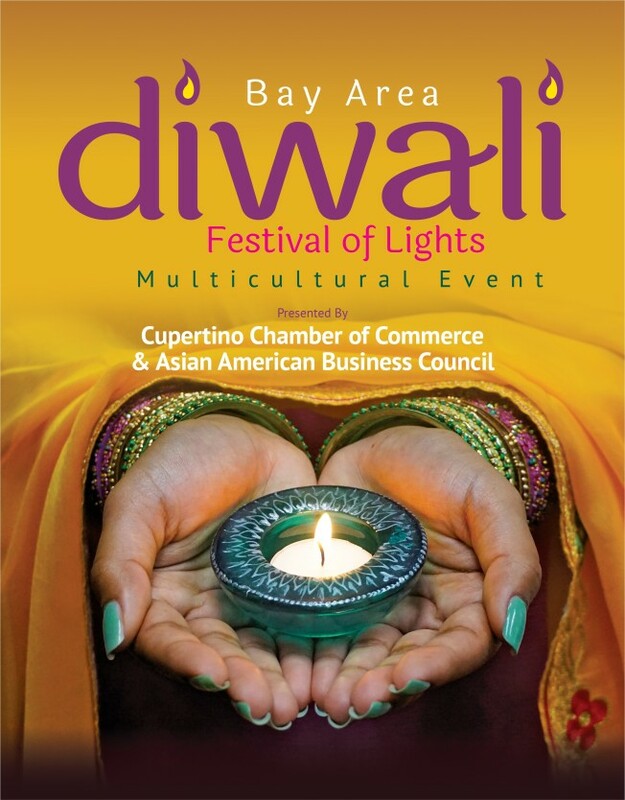 For more information about the festival or membership in the Cupertino Chamber of Commerce and the Asian American Business Council, please contact the Chamber in Cupertino at 408-252-7054 or visit the Chamber’s website http://www.cupertino-chamber.org/Diwali. WHEN: Saturday, October 13, 2018, 11:00 a.m. - 6:00 p.m.
Diwali is a traditional Indian festival of thanksgiving – it celebrates the victory of light over darkness, knowledge over ignorance, hope over despair and good over evil. Celebrated throughout the world, typical Diwali traditions include family and friends gathering to light lamps, exchanging gifts, new clothes, meeting new and old friends and offering traditional sweets.